Restaurant digital signage is revolutionizing two things: the way we dine and the way restaurant owners interact with their customers. Imagine being able to send multiple messages at the same time to anyone who stops in for a bite. Things like what’s popular, what’s new or what specials are running that day. Now imagine sending these messages without the wasted money and resources that come from printing signage again and again. 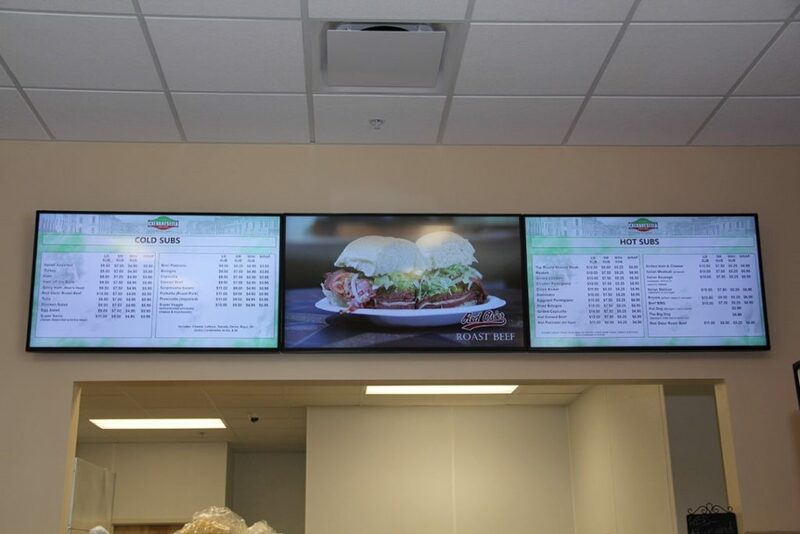 Digital menu boards are by far one of the most popular digital signage solutions on the market due to the need to update pricing, menu items and messaging frequently and remotely. 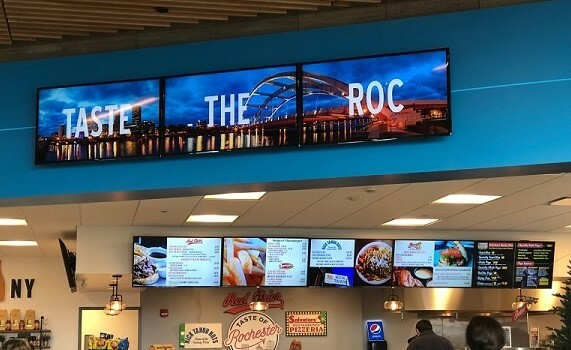 Digital menu boards are providing restaurant operators with a dynamic solution to the problem of ever-changing menus and the rising costs of printing. These digital displays can be instantly updated to reflect current and seasonal specials. They can also be programmed to meet time of day requirements. 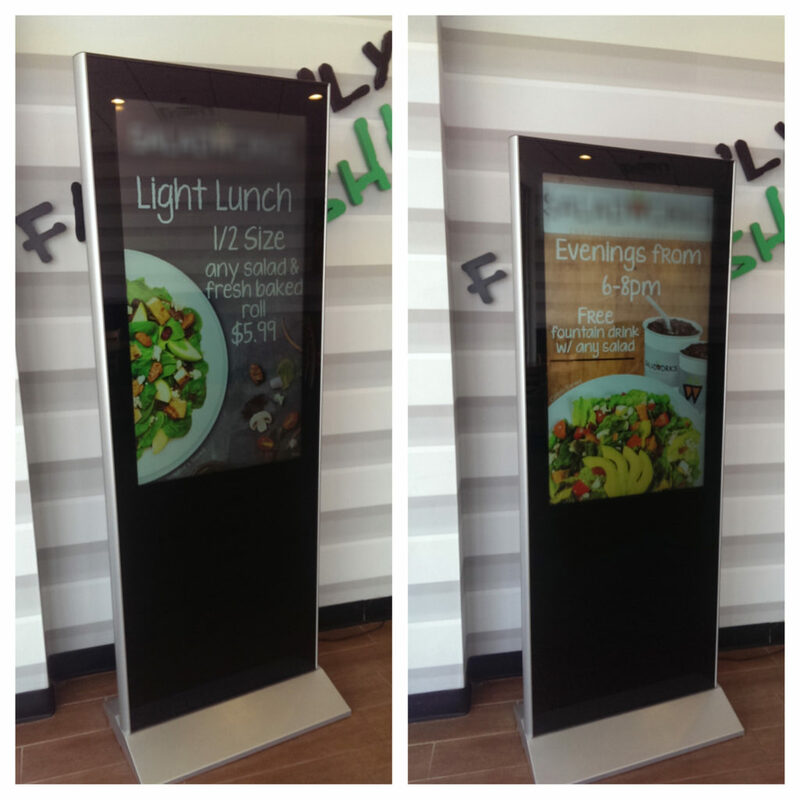 Click here for more information on digital menu boards. Click here for request a digital signage consultation. Digital bragger boards are the perfect solution if you’re looking to increase communication in-store. Highlight seasonal dishes, events and increase your catering in a high-tech fashion that is sure to catch your customers attention. Push multiple messages at once with the “zoning” tool and schedule content to appear at certain times of the day to better target your audience. Click here for more information on standard digital signage. Click here for a digital signage consultation. 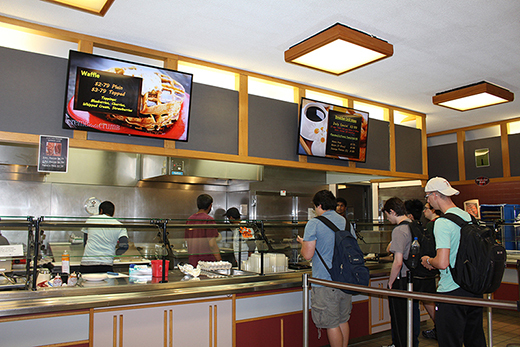 Check our our blog, “The Do’s and Don’ts of Restaurant Digital Signage” here.